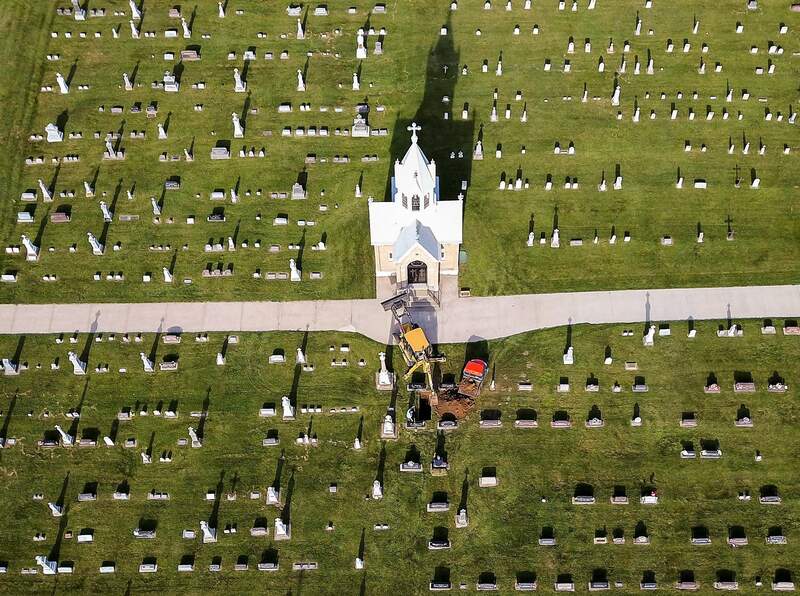 Workers dig a new grave at a church cemetery in New Vienna, Iowa. Preliminary data released on Wednesday shows U.S. death rates rose again last year, indicating that 2017 likely will mark the third straight decline in American life expectancy. NEW YORK – The U.S. death rate rose last year, and 2017 likely will mark the third straight year of decline in American life expectancy, according to preliminary data. A more complete report is expected around the end of the year, including the number of deaths and a calculation of life expectancy – the average lifespan based on year of birth, current death trends and other factors. The death rate for cancer, the nation’s No. 2 killer, continued to drop. It fell 2 percent from 2016. Death rates from HIV and blood infections also declined. The heart disease death rate fell too, but only by 0.3 percent. Experts think the nation’s increasing obesity rate is probably a factor in the flattening of heart disease death rates.